Frequently Asked Questions and Help Guide - Holiday Cottages in North Devon. 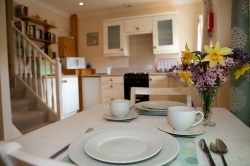 How do I make a booking for a holiday cottage at Pink Heather Holiday Cottages? Check the availability of the cottage and look for the dates you would like to stay in the availability calendars. We keep our calendars up to date as possible, but please note we could have received a booking whilst you have been viewing our website.